The money you donate today will forever change the life of a child in need. Please donate. Our founder, Father Nicholas Amico, believed everyone plays a part in solving proverty, even the impoverished and oppressed. 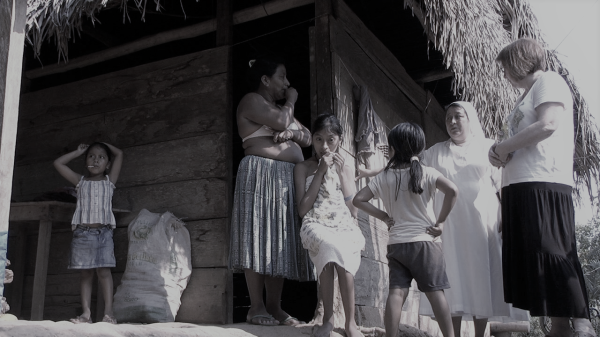 OCIMA provides education, housing and nutrition to many impoverished and oppressed people in Guatemala and Ecuador. Providing an education to the poor builds up the community and knowledge helps people to find their own solutions to problems versus simple receiving handouts. Many students who graduate from our school go back to their villages and surrounding communities as ambassadors, teachers and nurses. But education alone isn't enough, it's imperative the poor have access to the basic neccesities, clean water, housing and nutrition. Through many of OCIMA's programs, we are able to provide those basic necessities, that is why your donation is so important and why every penny that comes in makes a difference. Learn about our Projects and How To Help; your Donation will make a significant difference. The 2019 annual benefit raffle sponsored by our partner, St. Irenaeus Church is in October; the actual date will be announced soon. Please check back for the date and purchase your ticket here. Our 2019 annual wine tasting and silent auction was a wonderful sold out event. Please consider donating a silent auction item for our 2020 gala. Less than 1% of donations are used for administrative expenses. See how we do it! At OCIMA, we focus on five core initiatives: education, nutrition, water, hunger and community initiatives. Learn more about our projects. OCIMA is a 100% volunteer organization and because of that fact, less than 1% of your donation goes toward administrative costs. Learn more about our mission, founder, staff, volunteers, fundraisers and Board of Directors here.